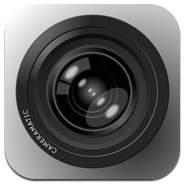 Cameramatic version 1.2.3 introduces a bunch of new filters and frames for your photos and some other interesting features. Very pretty filters. Especially the colorful ones are lovely. I’ve been using this for the last few days as a possible replacement for Hipstamatic because it gives me an option to remove the frames (always hated them) plus it has exposure controls. It also has infinitely more filter options than Hipstamatic will ever have because you can create your own filters. But whereas with Hipstamatic you cannot import any pictures (meaning you have to use the built-in camera to take the pictures to get the groovy effects) with Cameramatic you dont actually need to use the camera at all. Take a picture using the standard camera (giving you a full-screen viewfinder) or even Hipstamatic and import, edit and export it again, in effect reducing Cameramatic to a direct competitor of tools like Pictureshow rather than Hipstamatic with which I think it’s really meant to compete. Not sure if any of that makes sense. What I am saying is that I rate it as a better app than Hipstamatic (it’s just as fast to process the images) but the abilty to import the pictures means that as a camera i’d never use it, but only as an image filtering tool for which there are already many other apps. 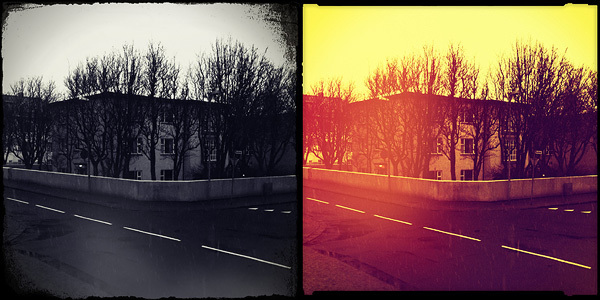 Take out that import ability and you’ve a 1:1 comparison with Hipstamatic – and a better app to boot in my opinion. Next post: How Do I Delete Photos From My iPhone?